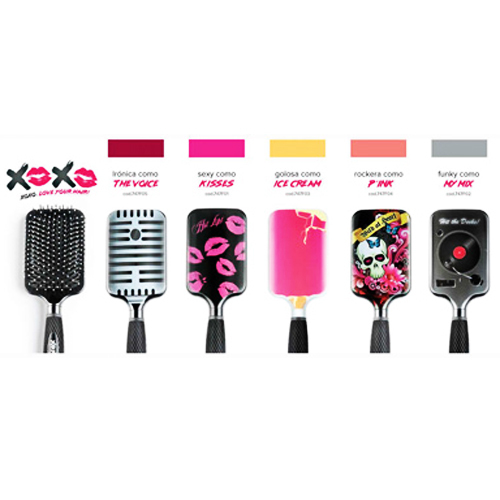 XOXO is the beautiful Paddle Brush pneumatic signed Giubra. 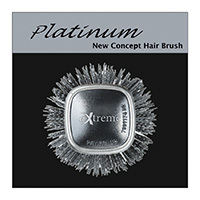 A collection designed for a female audience, young, hip, which is not content with a simple hairbrush. It is characterized not only by shape, square and wide for a quick hairdo, even from handle silicone, ergonomic, for a perfect and comfortable grip. Thanks to rounded tips, detangles your hair, providing a gentle and effective scalp "massage" effect. Also perfect for long hair and thick. Available in 5 versions: The Voice, Kisses, Ice Cream, P'Ink and My Mix. • Soft Touch for a gentle massage.